Britain’s first female Prime Minister, a leader who stood alongside President Reagan and Pope John Paul II to bring down the Soviet Union and defeat communism at its peak, has died. Former Prime Minister Baroness Thatcher has died “peacefully” at the age of 87 after suffering a stroke, her family has announced. David Cameron called her a “great Briton” and the Queen spoke of her sadness at the death. The ceremony, with full military honours, will take place at London’s St Paul’s Cathedral. Thatcher led the UK out of economic stagnation by moving away from socialism and toward a more freedom influenced model. She is considered Britain’s greatest peacetime leader. The world lost a leader among leaders today. 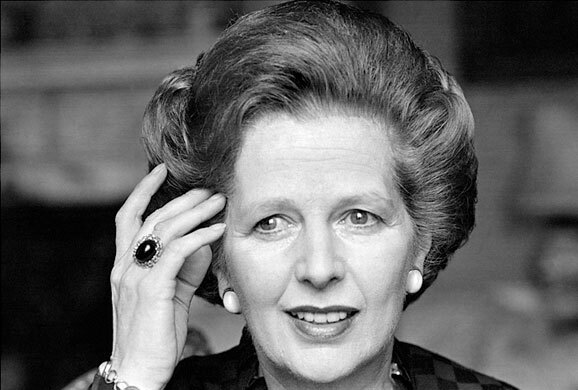 Watch the Iron Lady in one of her finer moments, ripping socialism by saying “they’d rather have the poor poorer”. Previous post What if Spongebob Characters Played in Classic Movies?